NO MORE Deprivation with Healthy Eating! Are you fed up with all the "healthy eating" talk that comes your way this time of year? Especially when this eating approach seems to shout DEPRIVATION? Don't blame ya. But take heart, there's no need to jump ship if you'll take these steps that protect against even a hint of feelings of deprivation. First, I'll come clean. 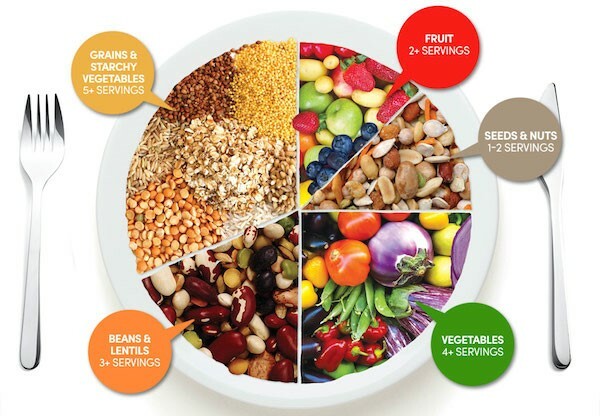 When I talk "healthy eating" I'm really referring to eating just whole grains, vegetables, fruits, beans and legumes, nuts, and seeds. And that's why folks can feel deprived-there's no meat or dairy on the list. 1. Stop thinking of this approach as a weight loss plan. This is a lifestyle, so do it realistically. That means expecting some hiccups along the way and learning to adapt, not to restrict. 2. Allow for an adjustment period ; focusing on a balanced diet is one of the keys to eating plant food without feeling deprived. Not just balanced in nutrients, though. You have to have a balance of textures and flavors to keep from getting bored. ALWAYS incorporate umami flavors into your dishes. It's called the 5th taste and is a pleasant, savory flavor that imparts interest and spizazz to foods. It's what makes food satisfying. Some common umami foods are onions, scallions, mushrooms, tomatoes, miso, tamari, nutritional yeast, balsamic vinegar and sauerkraut. 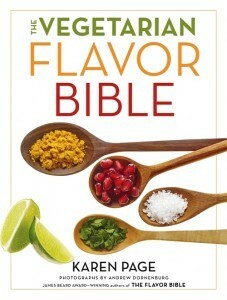 Karen Page's book, The Vegetarian Bible is a huge help in mastering this skill. 4. Make sure you're getting enough calories. 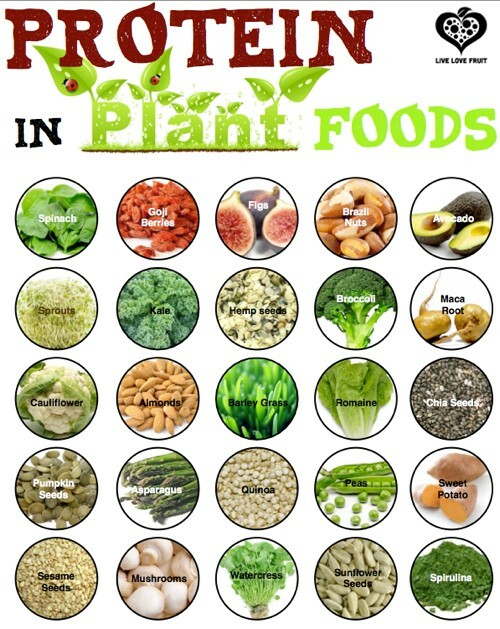 Eating plant food isn't just about cutting certain foods out-it's about replacing animal foods with exciting alternatives. Slice some avocado onto that veggie sandwich! Add a handful of cashews to your grain or noodle bowl! Top that salad with beans and sunflower seeds! If you're eating only plant foods and feeling tired and hungry all the time, chances are, you need more calories. 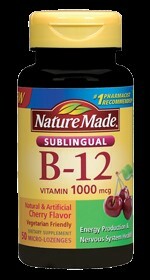 Take a B12 supplement. B12 is the one vitamin that you can't get enough of from plant foods. If you're worried about getting proper nutrition, get yourself a good B12 supplement. 6. Embrace fat. There are benefits to a low-fat vegan diet, but that DOESN'T MEAN no fat! Those cravings we have for meat and cheese are often cravings for fat. The body needs some fat to be healthy and stay healthy. So drizzle a little oil on your salad, toss your veggies in oil before roasting, and pass the cashews and almond butter, please! Eat that protein. Once you get the swing of how to eat just plant foods in a satisfying way, you don't really need to worry about "protein," but if you're used to getting most of your protein from animals, you might need to be a little bit mindful at first. 8. Don't be afraid to substitute. Chances are, your favorite recipes are likely adaptable to this way of eating. Miss sweet and sour chicken? How about sweet and sour vegetable stir fry! Craving bacon? Give coconut bacon a try. Craving nachos? Cashew queso can come to the rescue! Getting the hang of substitutions takes time, but once you have them down pat, it's easy to satisfy cravings, "plantatize" recipes and even find great plant-based dishes at almost any restaurant. 9. Focus on what you can eat. It's easy, especially when you're eating out, to dwell on the food you can't order. So stop with the "can't" thinking. Re-imagine and relish the substitutions you can make to healthify your meal. Could you have avocado or nuts (or both!) instead of cheese? 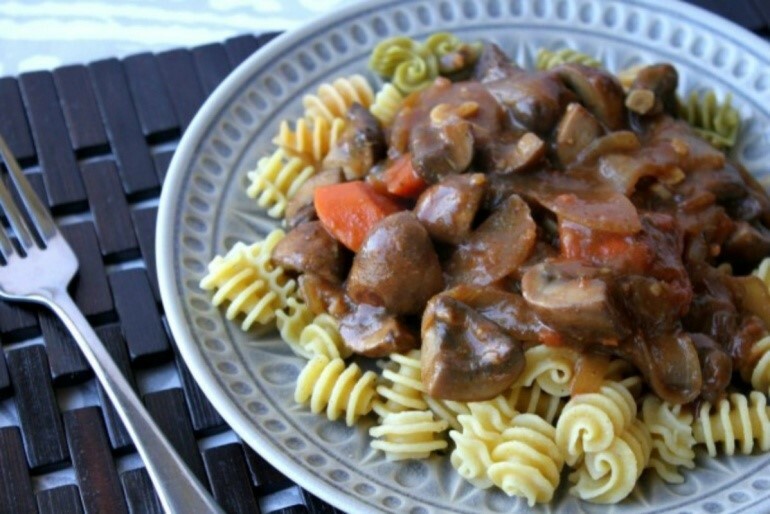 Mushrooms or beans instead of meat? Oil instead of butter? Don't fret over what you can't have and move on to the things you can have. Dive into the community. The plant food community is a wonderful, supportive place. Becky says there's no way she could have stuck with this way of eating for a decade without help from amazing people who are glad to share recipes, tips, and substitutions. For instance, it could take you a full year to work your way through all the wonderful plant-food websites and cookbooks available to us today. Create Cook'n cookbook chapters you can readily refer to as you explore and recipes from these sites and cookbooks. You're going to find SO much you'll love on the Internet, so create the perfect place to drag and drop all this good stuff. 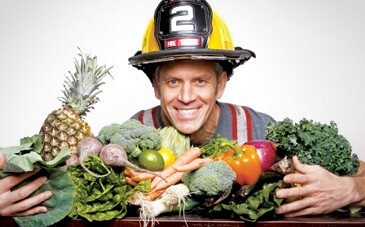 All this said, here are just a few of my favorite plant-based websites, and a terrific plant-based recipe to get you going, or keep you going. 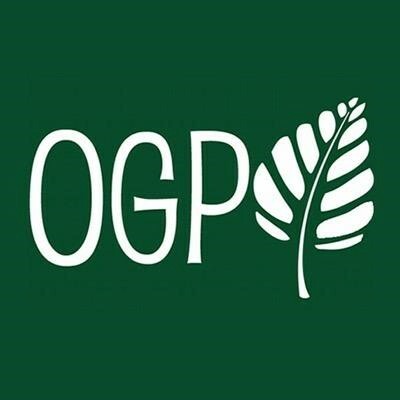 My very favorite, One Green Planet, is all about eating whole, plant-based foods on $50 a week. This is the place to start! Serve this over a bed of pasta, mashed potatoes, or fluffy brown rice. It's loaded with umami! Heat 1 tablespoon olive oil in a Dutch oven or large saucepan over medium-high heat. Add the mushrooms and cook, stirring, until they begin to release their juices, about 5 minutes. Transfer to a bowl and set aside. Reduce heat to medium and add the remaining tablespoon olive oil. Add the carrots and onions and saute, stirring, until onions are translucent and golden, about 10 minutes. Add the garlic and thyme and cook, stirring, until fragrant, about 1 minute more. Add the wine and stir to combine, scraping any fond off the bottom of the pot. Increase heat to bring to a boil and reduce the wine to about 1 cup. Add the tomato paste, broth and mushrooms. Once the liquid returns to a boil, reduce heat and simmer 20 minutes. Whisk the corn starch with 1/4 cup cold water and stir it in. Simmer, stirring, about 10 more minutes until thickened. Eating PARSLEY-What an Easy Way to Protect Health! The Absolute Tastiest Way to Eat This Tiny Power Food! How to Get Your Kids (Or You) to Eat More Veggies! These 10 Tips Will Save You Money and Sanity!